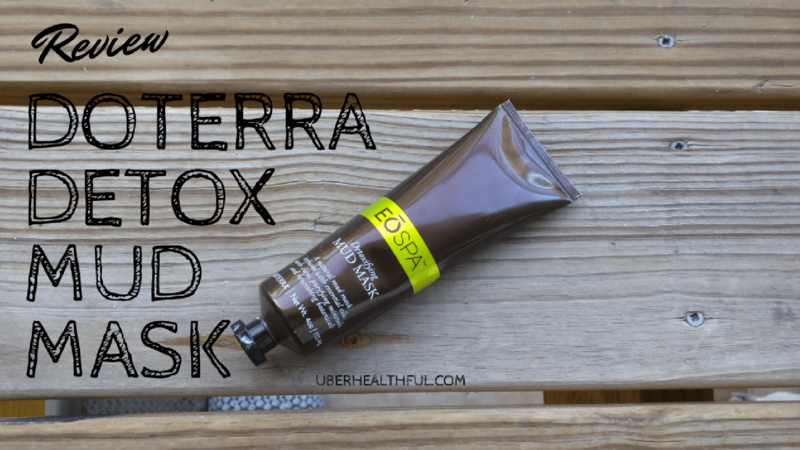 Here’s my doTERRA detoxifying mud mask review. I have very sensitive skin so I was curious if I could use the this new detox mud mask as part of my skincare routine. I wanted to try this new mud mask because I have very problematic skin but I did not have a flare-up when I tried the mask. Sometimes even after a seborrheic flare-up, my skin stays pretty sensitive to anything I use on it. So this was a good test. I wanted to share my skin problem with you so you know how sensitive my skin is. It will give you a better idea of how the detoxifying mud mask worked for my skin. The doTERRA mud mask has some nice ingredients that I was excited to try. I really love that you only need a small amount. The recommended amount is about a dime size. That little bit spread all over my face. The recommended time is 10 minutes but I left it on for 8 minutes due to my skin sensitivity and possible reaction. I removed the mask according to the instructions, using warm water. I used a gentle washcloth. I have these lovely, soft washcloths that I love to use on my facial skin. They are made with organic bamboo and are designed for people with sensitive skin. 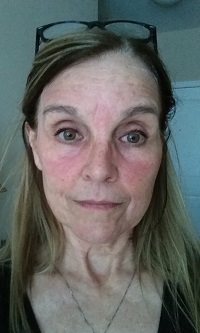 After I removed the doTERRA detoxifying mud mask, my skin was bright red. I didn’t panic because I have used pure clay masks previously and had a similar reaction. I knew that the redness would go away in about 90 minutes or so. The first time I ever used a clay skin mask, I did panic when my skin was bright red! I did a ton of research online only to discover that this was a typical reaction. So I was patient and waited for the red to go away. Click here to Order doTERRA products! Using the doTERRA mud mask, after about one hour and 15 minutes, my skin was back to its normal color. The best part is that my skin was so soft it was amazing! After about 3 days, I still haven’t had any type of skin reaction and loving my results. I definitely plan to the the detox mud mask on a regular basis. Indulge your skin in revered gifts from the Earth—CPTG® essential oils, natural earth clays, purifying minerals, and nourishing botanicals. The doTERRA SPA Detoxifying Mud Mask is a natural clay mask that provides purifying and detoxifying benefits while reducing the appearance of pores, fine lines, and wrinkles. Infused with CPTG essential oils of Myrrh, Juniper Berry, and Grapefruit, this proprietary mask delivers a luxurious and aromatic spa treatment that pampers the skin and enlivens the senses. I hope you enjoyed my review of the new doTERRA SPA detoxifying mud mask. I love it and highly recommend it! Have you tried this mud mask? What’s been your experience with it? Do share in the comments below. If you’d like more information, please reach out and contact me below or click here to grab your doTERRA products! Thanks for your post! I just usd the DōTERRA mud mask for the first time. Like you I have sensitive skin so I went a little less than time recommended. However, I freaked when I saw how red my face was and how “sunburned” it felt. I am glad to hear this is a typical reaction and will more than likely go away with time. Your post helped a lot!